1. What is Vacha about? A: Food and Beverage are fascinating aspects of the human civilization and culture. Almost everything that a person puts in one’s mouth has years of adaption, culture and an ethos behind it. Food being more complicated and varied, it is the simple beverage or liquid that has an amazing variety and spice to it. Almost everyone in the world starts one’s day with a beverage – a cuppa depending on the age, country, region etc etc. It is our attempt to try and source some of the best tsa ( chai or tea) and kafi ( coffee)in the country and present it to our customers. We also suggest a few recipes about brewing a good cuppa, then we are open to ideas and recipes that come up from consumes. 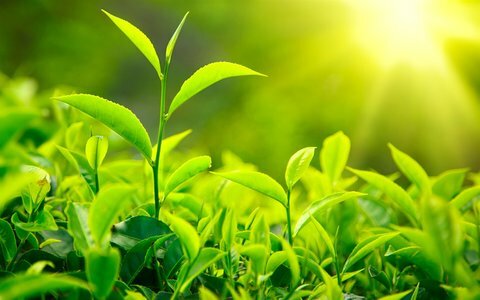 It is exactly unknown when but humans figured quite some time back that boiling leaves of the camellia sinensis plant and drinking the decoction gave them a lot of benefits. It perked them up, caused alacrity, cleaned their throats, stomachs and what not. Over centuries, these leaves have taken on the aspect of finery where discerning consumers have blended different teas and made them suitable for occasions and times. An English breakfast tea was blended to be had after a hearty English breakfast. 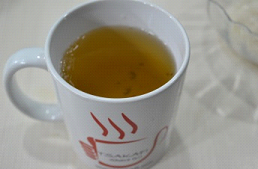 A cup of Jasmine keeps out the cold and ups the metabolism towards the later part of the day. So on and so forth. While not delving too much into the dos and don’ts about different types of teas, we invite customers to try out different types and choose the ones best suited to their taste and palate. Some where in the Mediterranean, most possibly Yemen, the first coffee bean was plucked, roasted and drank. It is difficult to work out the iterations the bean went through before being roasted and ground like nowadays. But it is very clear that whoever has had filter coffee swears by it. So we decided to take this humble filter coffee out of a few localities in south India and make it available to customers all over the country. Unlike tea, coffee loses its freshness and aroma within days of being roasted and ground. It is an extremely passionate coffee love who will go to any length to ensure a smooth strong coffee. We invite all such coffee lovers to try our coffee and share with us their secret recipes and methods. We have only one objective. We would like customers to try out different recipes and methods of having their tea or coffee. There are a huge number of possibilities of what can be done with tea and coffee. We have a customer who makes his rice in brewed tea instead of plain water. 2. What is the best method of brewing tea? A: There is no perfect method. At the end of the day, or the beginning of it actually one should get heady with the aroma and when the liquid hits the palate, it should give a good feeling. Generally speaking, tea leaves are infused in hot water and a brew is created.. Add anything that suits one’s palate it can be consumed. . The most common form is boiling it with water, tea, sugar, ginger and such. It’s supposed to be fantastic mood enhancer when it’s had hot during winters and the cold variety in summers. 3. What is the best method of brewing coffee? A: None. Coffee, unlike tea needs some apparatus to extract the flavor, aroma and the taste out of the roasted and ground beans. The apparatus can get complicated but the simple methods are the best to work with. Ultimately one relies on ones sense of smell and taste. The extraction or decoction can be had with any number of combinations. Milk, sugar, cream, flavored syrups are all additives based on one’s taste. A: Any thing !the idea is to innovate with the basic ingredient. In winters, the warm variety can work wonders. It can be had sweet with sugar or honey. You can add a slice of lime for a great lemon tea. You can even crack some black pepper and salt and sip it. A: Avoid! Let them grow up before their systems can handle the caffeine in tea or coffee. 6. What’s with this water at 70º C - 80º C ?A: Everyone knows water boils at 100º C . It is generally believed that boiling water burns the coffee or singes the delicate lea leaves. As water heats up, the first bubble that comes up indicates 75-80 º C . Alternatively, boil the water and let it cool for 1-2 minutes. One will get the rough 80 º C to brew a good cup.